When you’re choosing a pillow based specifically on sleep position, there are some helpful guidelines that you can follow to make sure you’re picking the perfect one. But what happens when you’re a sleeper who enjoys every position? Well, you’ll need a good, all-position pillow! As with all sleep accessories, it does take a little research and experimentation to find the pillow that best suits your combo-sleeping needs… but that’s where I come in. In this review, I’ll take you through a close examination of my top picks for combination sleepers. 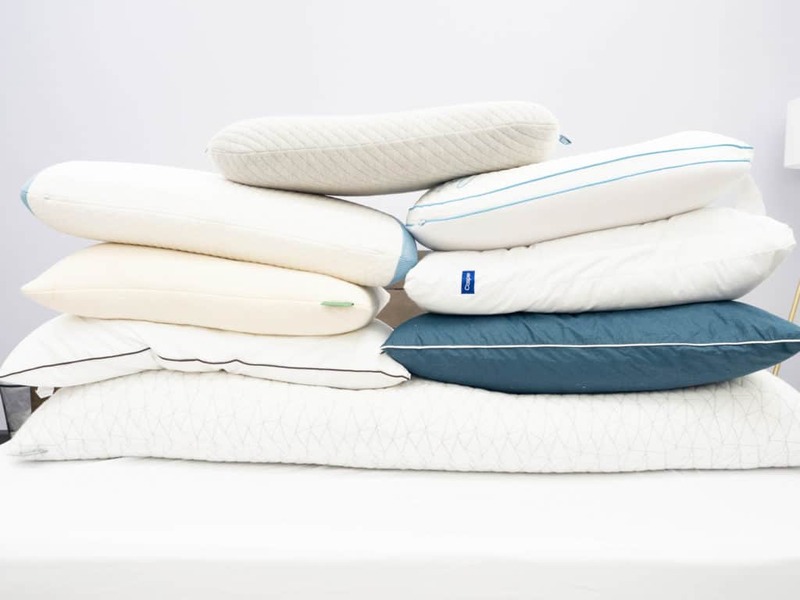 I’ve personally tested each one in every sleep style you can think of, so let’s help you find the pillows that suit your sleep habits and your lifestyle. WHAT’S THE PERFECT PILLOW FOR COMBO SLEEPING? When it comes to combination sleeping, it’s important to find a pillow that is versatile enough to adapt to any sleeping position. Whether you’re a side sleeper who always wakes up in a different position, someone who tosses and turns, or someone whose preferred position changes with the weather — having an all-position pillow is essential for combo sleepers. But, as always, the right type of pillow all comes down to your personal slumber habits. So, whether you’re just an occasional combination sleeper who someone who runs the gamut of sleep styles every night, it’s usually best to pick a pillow with a consistent loft and shapeability. The more multifaceted your pillow is, the better it will guard you against falling into a position that throws your spine out of alignment. So, let’s take a look at the round up, shall we? Down-alternative makes this pillow fluffable for lofty, side-sleeping support — but it's compressible enough for back and stomach sleepers too! Use code SLEEPOPOLIS to save 15% on your Pillow Guy purchase. The bouncy, Avena-like foam inside the Leesa pillow offers buoyant support that sleepers of all styles can enjoy! This pillow features a dual construction so that sleepers can choose between a cool, contoured feel, or soft, traditional support! Get 10% off your purchase using code Sleep10! 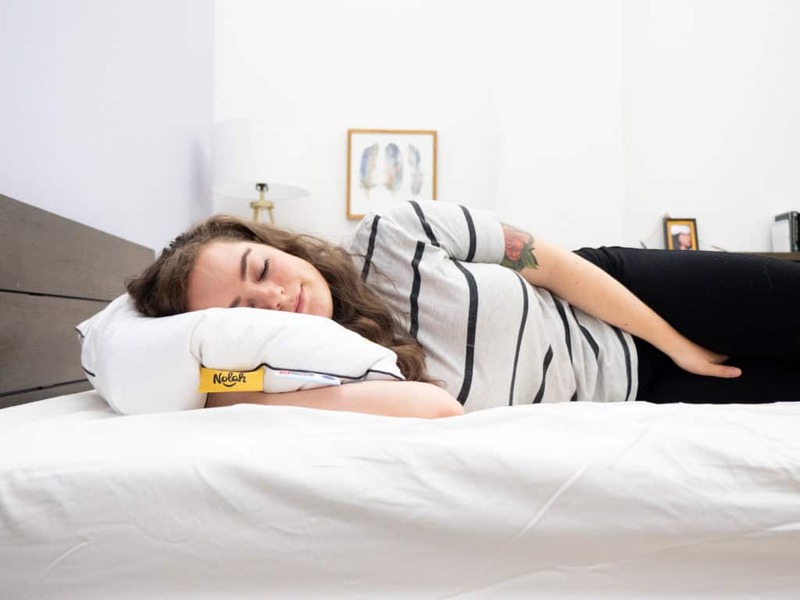 This memory-foam-stuffed pillow is like a hug for your whole body — great for combo sleepers who use their pillows for many different positions! The fluffy down-alternative in this pillow allows sleepers to shape and fold it until they've found the loft and firmness of their liking! WHAT MAKES THESE PILLOWS GREAT FOR COMBO SLEEPING? Each of the sleep accessories listed above has its own personality and brings something different to the pillow game. However, they have one thing in common: they all support folks who switch positions in their sleep. Like I said, not everybody stays one sleeping position throughout the course of their 40 winks, so these pillows are built to be versatile enough to meet the needs of every style of sleeper. 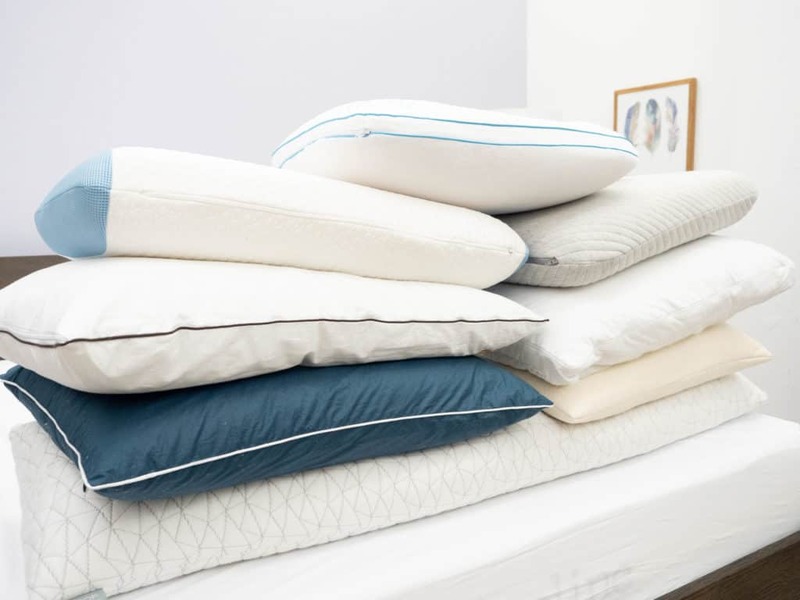 When it comes time to rest your head at night, it’s important that your pillow be ready to support you no matter which position you roll into — and I think these top picks have what it takes. So, rather than blindly buying eight new pillows, let’s take a closer look at some of the things that set these apart from one another so that you can be better equipped to pick your perfect pillow. 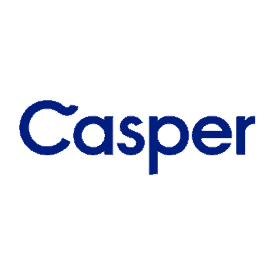 I chose the Casper pillow for folks who have more unpredictable slumber habits and are prone to tossing and turning. Maybe you’re the type to lay down on your side, fall asleep on your back, and wake up on your stomach. In my opinion, the Casper is a true all-position pillow. It features a dual-layer design wherein an inner pillow is zipped up in an outer pillow, offering even pressure relief and a versatile balance between plush and supportive. But the thing that really lends itself to combo sleepers is what the company refers to as the pillow’s “backbone”— a two inch gusset. This gusset spans the perimeter of the pillow and essentially serves to fortify its shape and make sure it maintains a consistent loft. This way, even as you’re changing positions, the pillow is adapting to pressure and it’s not going to cave in certain areas. So, it’s got the lofty support that side sleepers need, the conforming fluff that back sleepers want, and the compressible softness for stomach sleepers. Casper is one of the best rated mattress brands in America, so I wasn’t too surprised by how comfortable this pillow is. 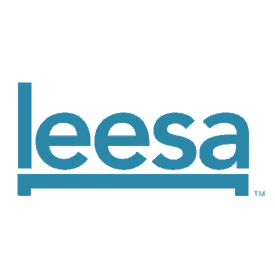 It has that sort of “cloud-like” quality to it, and the more you fluff it, the loftier it gets. So, if you know you’re going to settle into some side sleeping and you prefer a loftier build, give it some enlivening fluffs first. Here’s a pro-tip: while I personally found this pillow to be comfortable in every sleeping position, there are some folks who may find it a bit too lofty for stomach sleeping. No matter. Just remove the middle insert and sleep on that! It’s still got that lush internal fill of low friction silky fibers, but the loft is much lower without its outer pillow companion. 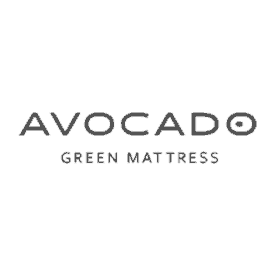 The Avocado Green pillow is filled with natural Dunlop latex shreds and Kapok fibers which offer a soft, cool plushness and quick response to pressure. It’s got a medium level of loft and firmness making it pretty versatile for every style of sleeper. It’s shapeable, foldable, fluffable and generally pretty easy to manipulate. Plus, it’s adjustable which is a big perk when it comes to combo sleeping. If it’s not lofty or firm enough in one area, just reach in and push the fill around until you’ve got it how you like it! Personally, I like to leave the fill exactly as it is. I find that its shapeability allows me to play around with the firmness and feel enough to meet my needs in every sleeping position. Folks who prioritize an eco-friendly pillow should know that this is an organic pillow made from all-natural, sustainably harvested materials. From the internal fill to the cover fabric, this pillow brings a “go-green” factor to the table that would be particularly beloved by sleepers with allergies or sensitive skin. Remember: Kapok is a natural tree fiber and even has a nice, earthy scent to it. Learn more about the Avocado Green pillow by checking out my full review! Okay, so you love the soft fluff of feathers but you don’t want to sleep on animal products. Cue down-alternative! Pillow Guy’s down-alternative pillow is filled with a silky, feathery poly gel fiber that satisfies my desire for fluff and offers a malleable quality great for combo sleeping. It’s got some good loft to it, but it’s also very foldable which is a particularly good quality in all-position pillows. For folks who sleep in mixed positions, it’s helpful to be able to play around with the pillow’s shape in order to personalize the firmness and loft of certain areas. Pillow Guy actually makes two down-alternative pillows: one for back and side sleepers, and one for stomach sleepers. I chose the back and side sleeper pillow as best for combination sleeping because I actually found the compressible nature the poly gel fill to lend itself well to stomach sleeping too. 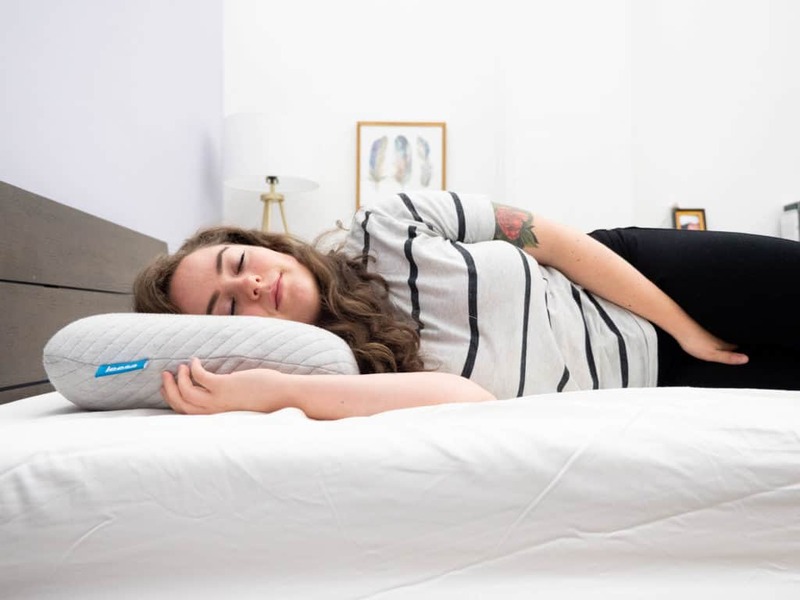 It allows for enough of a sink into the pillow so that your head is not too elevated, good foldable support when you’re on your side, and even, fluffy pressure relief when you’re on your back. Combo sleepers who are looking for a vegan alternative to down would likely be very compatible with this pillow. You can learn more about both of Pillow Guy’s down-alternative pillows in my full review. I chose the Bear pillow for combo sleepers because it’s got a very consistent loft and a quick response to pressure, so you know it’s going to do a good job of maintaining its shape over the course of the night. It is an all position pillow, and in my experience, offers even pressure relief for every position. But if you have an active lifestyle, you might particularly benefit from this pillow. 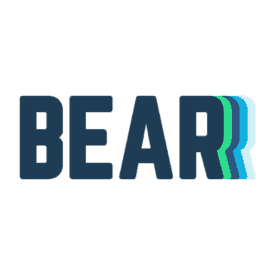 All Bear products are designed to promote a cooler sleep so that folks who engage in regular physical activity can get the rest and recovery their bodies need. Of course, you don’t need to be an athlete to enjoy the cooling features of this pillow, but the phase change material is intended to soothe swollen muscles which is especially helpful after a workout. Combo sleepers with active lifestyles could definitely benefit from the Bear Pillow. To read all the details on this pillow’s construction, check out my full review. 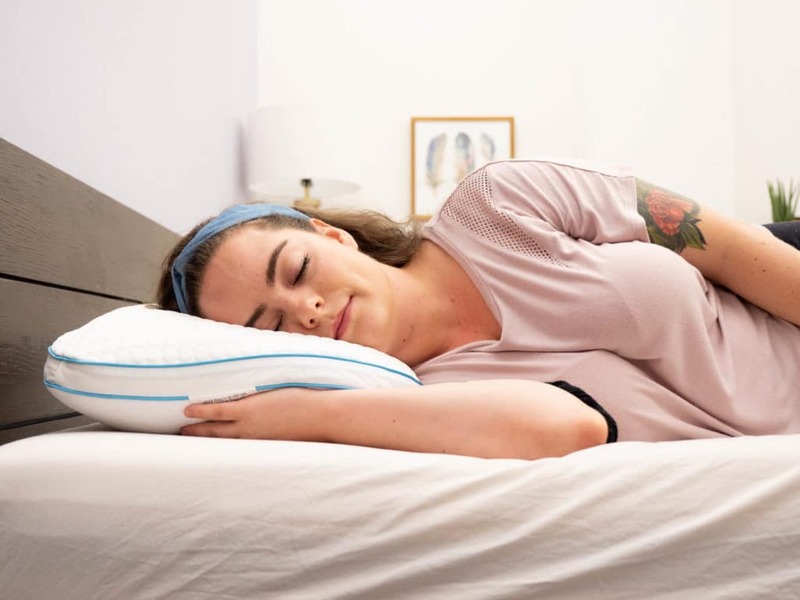 I chose the Leesa pillow because it has a super bouncy quick response to pressure which is going to help support you in every position, and kind of moves really well with your body as you shift and shuffle around. However, I think this pillow is especially good for combo sleepers whose home base is back sleeping. I know some folks explore stomach and side sleeping throughout the night but always end up returning to the supine position — this pillow is great for that. It’s got the right loft for combo sleeping — not too tall, not too flat. And the resilient Avena-like foam inside offers nice, evenly distributed pressure relief that adapts to your body as you roll around. Avena is a type of polyurethane foam that is actually the same material used in the top layer of the Leesa mattress, so if you’re compatible with the company’s mattresses, note that there are some similarities in feel and support. The Leesa pillow is designed to be light and airy, but also gently contouring which, in my opinion, is ideal for combo sleepers who mainly sleep on their backs. For my full thoughts on the Leesa pillow, check out my written review! 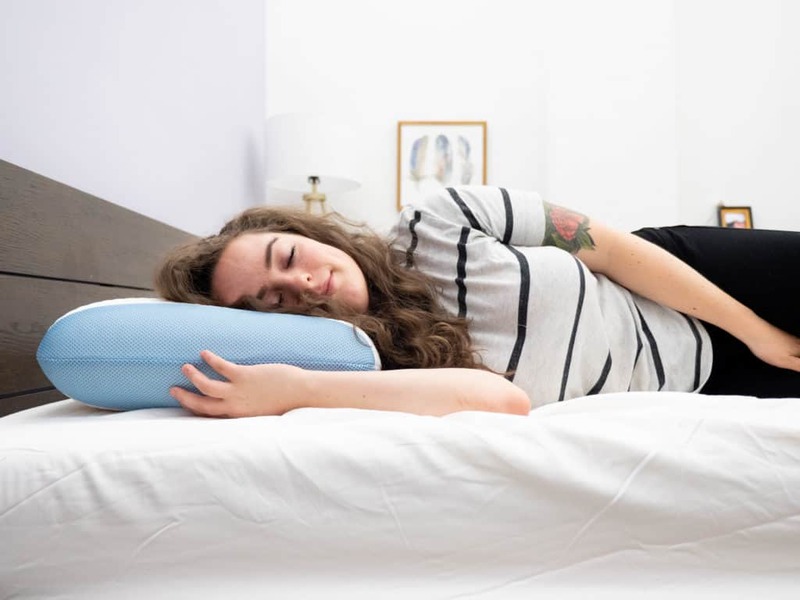 The Leesa pillow offers a super quick response to pressure, ideal for back sleepers who need help maintaining healthy posture throughout the night! As I said, when it comes to combo sleeping, versatility is key. That’s why I chose the Out Cold pillow from I Love My Pillow. It’s got a dual construction wherein one side is covered in cooling phase change material and features a shallow contour in the center, while the other side is covered in micromink material and has no contour. Back sleepers would do particularly well with the contoured side as it provides this nice little valley that cradles your head while your neck is still firmly supported by the pillow’s edges. Meanwhile, mixed stomach and side sleepers would enjoy the traditional side because it’s got a consistent loft and a conforming response to pressure. So whether you’re on your stomach or your side, the foam is going to kind of work with your body and adapt to your shape. In my experience, I found it to be not too lofty for stomach sleeping and not too flat for side sleeping. However, the contoured side really only met my needs as a back sleeper, but between both sides of the pillow, all bases were covered! Pro-tip: If you’re loving the micromink material but wish that that was the side that had the contour, just unzip the cover, remove the solid piece of foam, flip it over so that the contoured side is facing the micromink, zip it back up and bam! Problem solved. For all the details on the Out Cold pillow from I Love My Pillow, check out my full written review. The soft and flat I Love My Pillow could be fantastic for stomach sleepers! Get 10% off your purchase using code Sleep10. I want to be clear: the only reason the Coop Home Goods Body Pillow didn’t make it to the top picks is because it’s not a standard size, and not everybody is going to want a big ol’ body pillow on their beds. That being said, the feel and support is pretty great for all positions. It’s got a nice malleable fill of shredded memory foam that also happens to be adjustable, which is ideal for combo sleepers because you can reach in and personalize the loft. You can lay it across your entire mattress and roll from side to side without ever running out of pillow. And if you’re short like me, you can really enjoy some full body support from your head to your feet. But, hey. If you’re not into the idea of a full body pillow but you love the idea of a cushy, adjustable memory foam pillow from Coop Home Goods, they do make one in a standard size. Check out the other review! Combo sleepers who like to be totally enfolded and wrapped up in pillow should definitely give the body pillow a try. Check out my full review for all the deets! In need of some serious comfort? Consider the COOP Home Goods body pillow, which rests against the body for some fantastic pressure relief. The Nolah AirFiber pillow didn’t make the top picks because it is on the thinner, softer side which isn’t very good for side sleeping. But mixed sleepers who switch between back and stomach could definitely get some good support here. It’s filled with a very soft and fluffy polyfiber that’s super shapeable, foldable and also conforms nicely to your head and neck. Like I said, a little too thin for side sleeping, but Nolah does make two pillows. There’s the AirFiber which, like I said is better for back and stomach sleepers, and the AirFoam which is better for back and side sleepers. 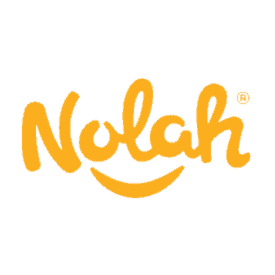 If you want to know more about both of Nolah’s pillows, check out my full review here. With two different builds, the Nolah pillows are great for almost every kind of sleeper. Well, combo sleepers, you’ve seen my personal pillow picks but remember: these are just eight of my favorites. There’s a big wide pillow-world out there, so let’s make sure you know what to look for when you’re shopping for a combo sleeper pillow on your own. Is this pillow’s loft providing me pressure relief for my neck and shoulder? Your combo sleeper pillow should be lofty enough to hold your head in alignment no matter which position you roll into, but not so much so that your neck is craned upwards. Finding the perfect loft for combo sleepers can be tricky because what works for stomach sleeping won’t always work for side sleeping, or what works for back sleeping might not be so good for stomach sleeping. So, I like to aim for a soft to medium firmness and a consistent loft. The better your pillow is at maintaining it’s height and shape over the course of the night, the better it will serve to support you in every position. The next thing you want to check out is the firmness, and when it comes to combo sleeping, much of it does come down to personal preference. However, a medium level of firmness is a safe way to ensure that it won’t be too firm or too soft when you transition positions throughout the night. That being said, try to figure out which position you spend the most time in. If you’re a combo sleeper who mainly sticks to lateral sleeping, try something with a medium-firm feel. If you’re more into a mix of stomach and back sleeping, try a soft-medium level of support. As long as you’ve got a consistent loft that’s keeping your spine in neutral alignment, you’ll be able to maintain healthy posture despite any tossing and turning that goes on. Once you’ve found a combo sleeper pillow that’s got the right level of loft and firmness, you’re ready to find out whether or not this pillow is going to support you all night long. 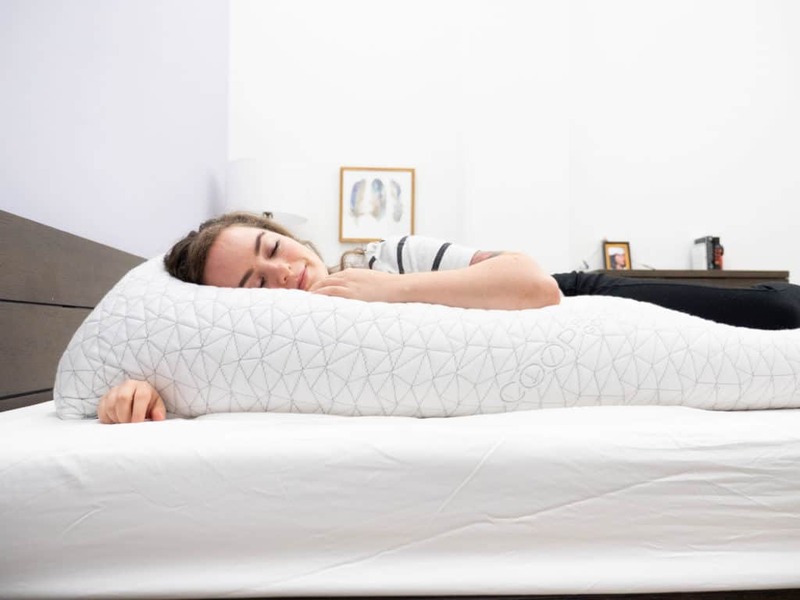 Because this factor is more time-dependent, it’s hard to know exactly how this pillow is going to last through the night just based off of online reviews or the thirty minutes you spend testing it in the store. So, I always recommend taking advantage of the company’s offered trial period — that way you can get a month or so to get the full measure of the pillow’s long term support. However, if a company does not offer a trial period (or you don’t want to use it), there are some things that can enhance a pillow’s ability to stand the test of time. A responsive pillow with good shapeability offers a level of versatility that lends itself really well to combo sleeping. In my experience, when your pillow offers a shapeable or moldable feel, you’re better able to personalize it and adjust the firmness. That way, when you’re on your side you can beef up the loft how you like, or if you’re on your stomach you can flatten out the fill so it’s more compressed. An adjustable pillow is also a great choice when it comes to combo sleeping. Being able to reach in and move the internal fill around gives you that extra level of customization that is perfect for folks who sleep in a variety of positions. A good supportive pillow is meant to complement a good supportive mattress. Of course, finding the right pillow is crucial to keeping healthy posture throughout the night, but it would be a shame for your pillow’s hard work to be negated by the wrong mattress. If you’re not sure you’re sleeping on the right one, check out our guide to the best mattress and we’ll put you on the right track! At the end of the day, everybody is different and our sleeping habits are prone to change over time. So, it’s important to remember that what works well for some combo sleepers might not be as great for others. Researching a sleep accessory before you purchase it is a great way to get a good preliminary sense of it, and whether or not it’s going to serve your particular needs.